Hardcover, 6.75 x 8.25 in. / 265 pgs / 76 color / 86 bw. Edited with text by Rita E. Täuber. Text by Bruno Corà, Marc Gundel, Magdalena Holzhey, Stefan Nienhaus, Petra Richter, Beat Stutzer, Kirsten Claudia Voigt. Widely regarded as one of the most influential figures of the second half of the 20th century, Joseph Beuys (1921–86) was prolific in his production of performance art, sculpture, installations and graphic art. Joseph Beuys and Italy focuses on a hitherto little-noted aspect of the artist’s work: his special relationship to Italy throughout his life. It was in Italy that his best-known editions and final large installation, “Palazzo Regale,” were created. It was in Italy where the artist felt most at home, and, for Beuys the social reformer, felt his idea of social sculpture most reflected in the culture, history and lifestyle of the Italian people. 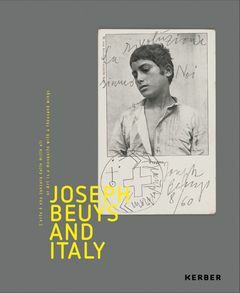 With 100 exhibits, drawings, works on paper, multiples and objects, as well as archival film and audio material, this volume invites readers along on a special journey to Beuys’ Italy. Edited by Kelsey Corbett, Oona Doyle. Foreword by Thaddaeus Ropac. Text by Norman Rosenthal. Artwork by Joseph Beuys. Contributions by Martin Kemp. Text by Ann Temkin, Cornelia Lauf. FORMAT: Hbk, 6.75 x 8.25 in. / 265 pgs / 76 color / 86 b&w.